Scientists and Indigenous leaders hope a new map may be a first step in helping identify the origins of thousands of Indigenous remains held in museums. “Many Indigenous remains were taken from their burial place in the colonial era,” said Shaun Adams, a PhD candidate at Griffith University. Australia’s first regional “isoscape” could help fill in some of those gaps for the people of Cape York. The researchers looked at strontium ratios in soil, water, plant and animal samples to put together a map of Cape York. The Cape York map identifies the chemical signatures contained in soil, water, plants and animals leached from ancient rocks across an area of around 289,000 square kilometres. 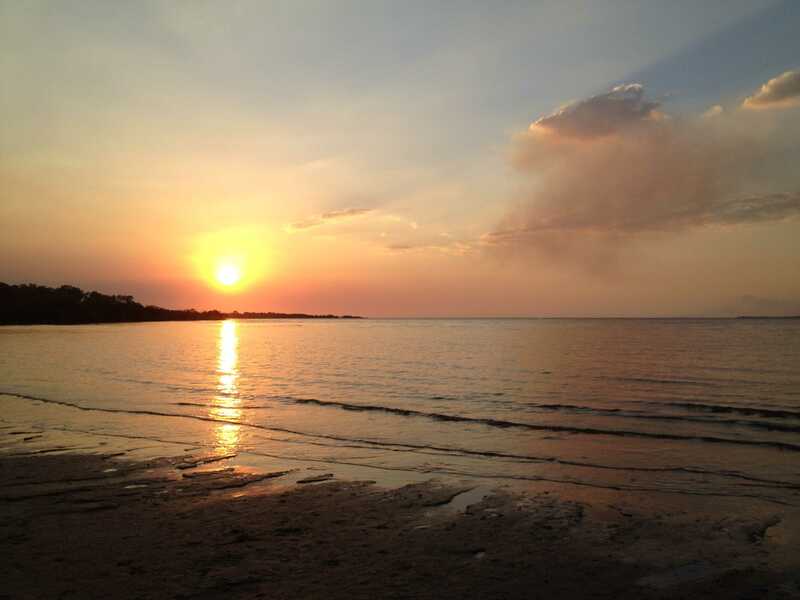 Cape York’s landscapes vary from the granite outcrops and volcanic lowlands in the east to alluvial plains that flow into the Gulf of Carpentaria in the west. To create a map of this diverse landscape, Mr Adams and colleagues took an 11,000-kilometre road trip collecting soil, water, plant and animal samples from more than 120 sites. The samples were analysed for ratios of different types of strontium. “From that we can get a … sort of a map of how the ratios change,” Mr Adams explained. The analysis showed a strong correlation of the plant and soil samples to the rocks in different areas. The technique used to create the Cape York map, published today in the journal Geoarchaeology, could be used elsewhere in Australia. It has been estimated that up to 25 per cent of Indigenous remains held in Australian institutions are unprovenanced. Mr Adams said using the isotope map in combination with historical documentation or ancient DNA could help narrow down where some of these remains come from. “You can never say exactly where somebody’s come from, but you can say where they haven’t come from,” Mr Adams said. “If we know [the remains] come from within a region somewhere, but we can’t pinpoint location exactly, at least we know who we can talk to. Mr Adams said the technique had not been used as yet to analyse any samples from museums. Repatriated Indigenous remains have been reburied in the Normanton Aboriginal cemetery in north Queensland. In the meantime, Aboriginal groups from Cape York have given permission for remains buried at Normanton and in the Flinders Islands to be tested. The remains at Normanton include the skeletons of eight young people that were sold to the Australian Museum at the turn of last century and returned to the Gkuthaarn and Kukatj people in the early 1990s. The community asked Mr Adams and his colleagues to examine the remains, which had become exposed by monsoonal rains, to identify their origins before they were reburied. “The two studies on either side of Cape York show a lot of variability and we can tell a lot about where these people have come from,” Mr Adams said. Flinders Island traditional owner Clarence Flinders hoped the project may help find people from his country that were removed from sacred burial sites. “I hope with this project we can find the remains and bring them back home again,” he said. Yidinji elder Gudju Gudju, who is connected to Cape York communities through his grandmothers, also supported the use of isotopic mapping and DNA sequencing to return people to country. “Whether it’s though the isotopes or sampling we get a greater percentage of knowing exactly which area they’re from,” said Gudju Gujdu, who has been involved with DNA studies and repatriations. “Some of the historical accounts of remains being taken away they just give a region. They don’t actually give a location. While the focus of the work has centred on Cape York, Mr Adams said the technique could be used anywhere in Australia. Rodney Carter, chief of the Dja Dja Wurrung Registered Aboriginal Party and chair of the Victorian Aboriginal Heritage Council, has been pushing for a similar project to commence in Victoria. “We want to positively contribute to a state project that would see the science supporting people’s origins so we can rebury them,” Mr Carter said. There have been discussions about setting up a national repository for unidentified remains in Canberra, but Mr Carter said would like to try to use the mapping technique first. “I would feel a bit sad about that if … the ancient remains were held nationally and we hadn’t tried everything possible to try to bring people back to country,” he said. He said discussions continue with Aboriginal groups throughout Victoria about collecting field data, which could be done as citizen science projects. While the immediate aim of the project is to help repatriate ancestral remains, the work could also help scientists understand the movements of the first Australians. “Cape York is the closest point to Papua New Guinea and Asia so its integral to a lot of questions on initial migration into Australia along with the Kimberley and Northern Territory,” Mr Adams said. North-east Queensland is one of the entry points used by the first Australians. Anthony Dosseto, head of the Geochronology Laboratory at the University of Wollongong, agreed. “It will be definitely interesting to extend [the mapping] to the whole of Australia because we will get some information on origin and migration,” said Dr Dosseto, who was not involved in the study. While it may not be as effective in some places such as Central Australia where the geology is more homogenous, Australia as whole had a wide range of different types and ages of rocks, which affect the strontium ratios. “This sort of approach is not going to be the answer to everything, but it can definitely help you narrow down where people came from and how far they travelled,” he said.